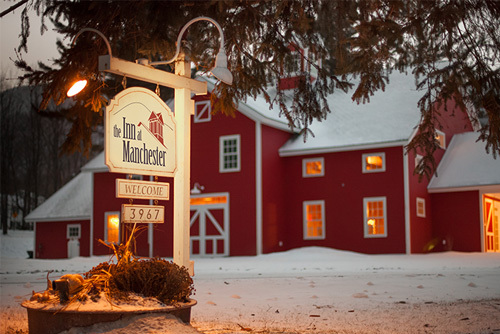 The 21-room Inn at Manchester’s topline revenue, profit, and occupancy had been experiencing a three-year-over-year decline and ownership had no idea why. And as they embarked on building a multi-million dollar “event barn” on property, the financial stakes were getting higher and something needed to be done. So they turned to Redpoint to figure it out. We did a comprehensive audit and assessment of their business – digital, physical, and operational – and discovered that their entire marketing engine was out of whack…website not performing well on search engines, emails inconsistent, key online listings and ads lapsed. A strategic plan was developed to untangle things, and our marketing division took the reins. Leaving the framework intact, we overhauled their website, including SEO, technical, and content enhancements, and then we redesigned key pages, developed essential landing pages, trained key staff on social media (and shepherded their program), launched an aggressive email and digital marketing program (including implementing and managing pay-per-click initiatives), and more. We also did a complete marketing and sales launch of the Event Barn, including sales kit creation, digital marketing program, email campaign, and more. It’s rare that we can draw such a single-source line between our efforts and a client’s results because so many other factors are usually involved. But in this case, the addition of Redpoint was the SOLE change in their business and certainly in their marketing mix. And here’s what resulted at the end of the full fiscal year during which our new program was implemented: the Inn achieved its highest topline revenue in its entire decades-long history, revenue saw a 23% increase over the previous year, profitability increased by 15% (despite increased spending on marketing and all the Event Barn expenses), there was a 98% increase in website visits, and a 50% increase in Facebook Likes. And at the end of that year, the owners gave us a hug we can still feel.